There’s a little something for everyone at DeMille’s Farm Maret. 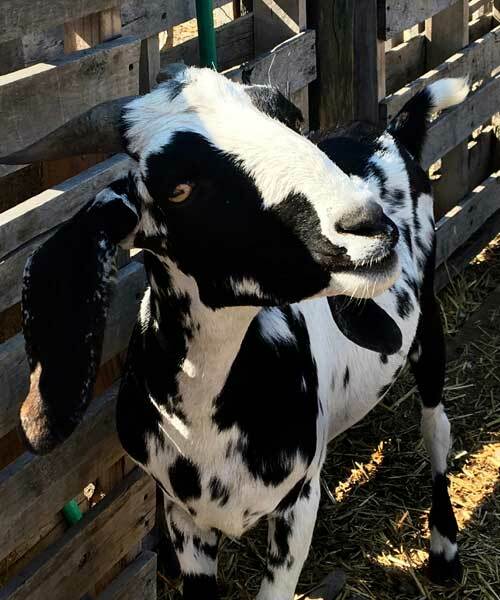 Fresh fruit and produce, ice cream, gourmet specialty products, farm animals, antique farm equipment and even a bite to eat. The Market itself is staged and set up with one goal in mind: to entice you to taste some really good, locally grown or produced food! We hope that you’ll come to visit and leave excited about your next meal. At DeMille’s we take pride in offering you a wide selection of fresh, quality fruit and produce from the local Shuswap area as well as from around the world. People come from all over Canada for B.C.’s incredible fruits and vegetables. 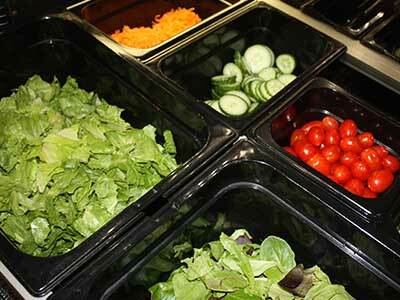 From blueberries to zucchini, if it’s grown locally, we will have it fresh for you. 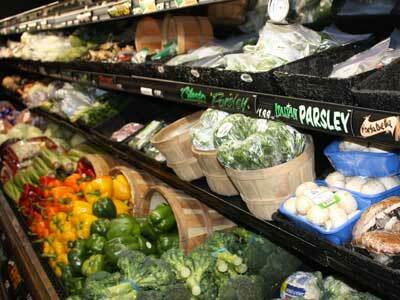 We also carry a large selection of certified organic and pesticide free fruits and vegetables. DeMille’s famous sweet corn is renowned across B.C. And Canada. We grow over 20 varieties on 130 acres. The soil is very rich which is the secret to our sweetness and delicious flavour. 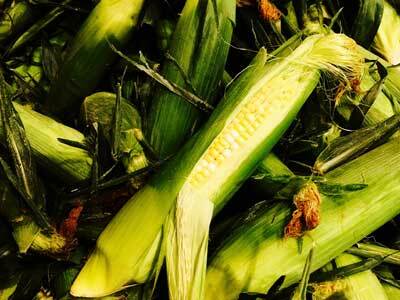 DeMille’s sweet corn is always hand picked to perfection and available late July through September. 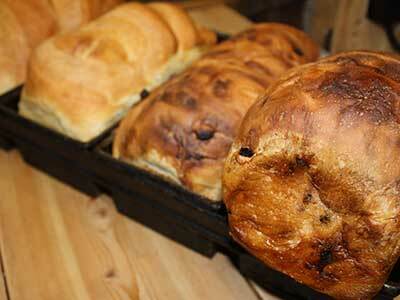 DeMille’s offers a variety of fresh baked bread and other delicious home baked goods which are baked daily on site. Try our famous Mount Ida Summit or Country Harvest bread or choose from a wide assortment of fresh buns, baguettes, bagels, croissants and other fresh breads. Also available are mouth watering pies, cookies, muffins and sticky buns. DeMille’s also carries a fine selection of specialty products from local producers. Check out some of these favourites such as Gort’s Gouda® cheese, Raincoast Crisps®, Denzel’s Hot Sauce®, Black Forest Noodles®, Alive Granola®…the list goes on and on! Don’t forget our local dairy line from Blackwell Dairy and D Dutchmen Dairy. Wondering what to serve for dinner? We offer a range of easy dinner solutions including perogies, cordon bleu, a huge assortment of frozen seafood, all natural local chicken and DeMille’s very own natural beef. 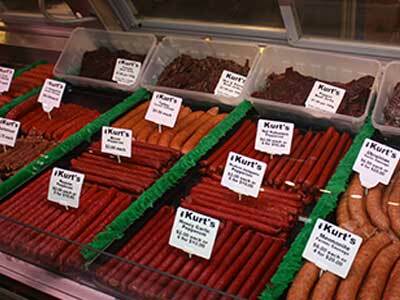 More than 40 years of experience stands behind Kurt’s Deli; a delicatessen that offers a fine array of specialty meats, located inside DeMille’s Farm Market. Kurt Sauter, an award winning sausage maker from Switzerland, creates sausage using only premium cuts of free range, antibiotic and hormone free pork. His sausage is 90 per cent lean, and contains no MSG, fillers, preservatives or gluten. Feeling hungry at lunch time? DeMille’s offers fresh sandwiches and other hot lunch features. Look for our hot lunch menu on our Facebook page. For a special treat on a hot day, the kids will love DeMille’s ice cream cones. popular place during the summer! Summer in the Shuswap is amazing and it’s a great time to bring the whole family to visit DeMille’s. From mid-May to September, take a minute and browse through the mercantile shops located on the farm. 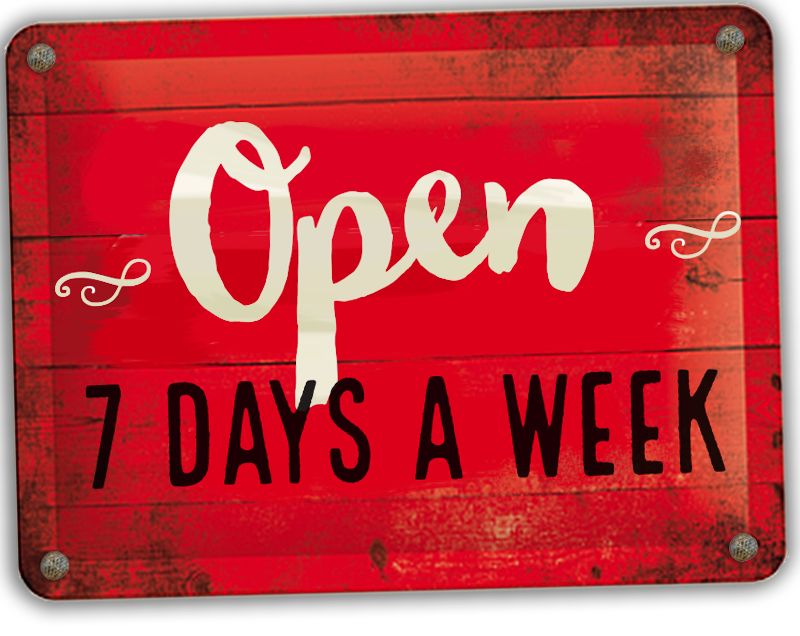 Here you can browse through unique gift items and antiques – there is something here for everybody. A seating area outside lets you enjoy your lunch or snack while taking in the country air. Let the kids run free while feeding the animals in the petting zoo. Just a warning – those pesky emus like to bite! So whether you live in the Shuswap or are just visiting, be sure to put DeMille’s on your list of places to come to this summer! 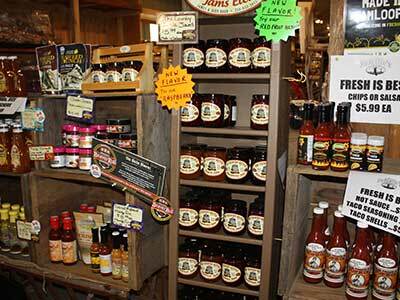 You’ll find a unique array of gourmet and “tried and true” specialty items at DeMille’s Farm Market.